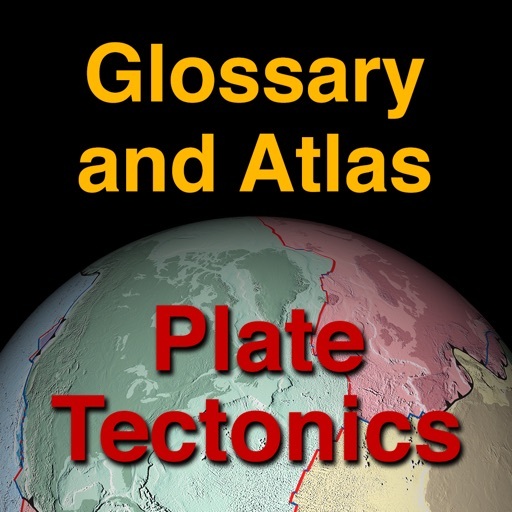 Plate Tectonics Visual Glossary and Atlas by DK Tasa, Inc.
A comprehensive glossary of terms and definitions related to plate tectonics with visuals that include illustrations, animations, photos, and videos. 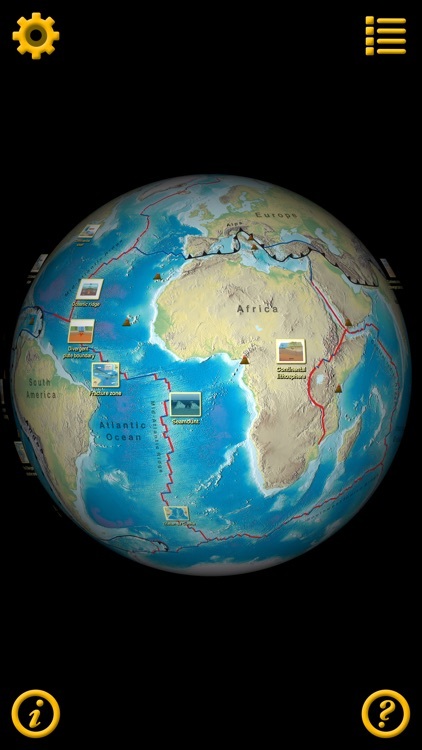 Using a 3D globe with surface maps that show Earth’s geologic features, terms are related to the features that are a direct result of the motion of tectonic plates. 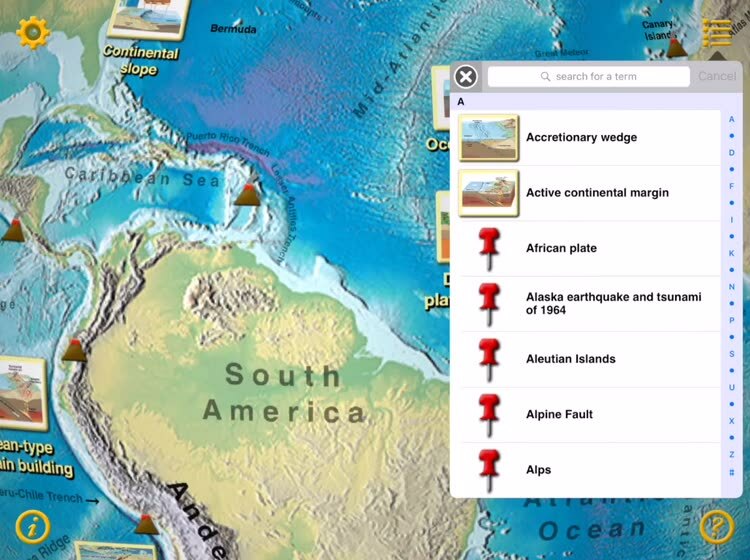 View terms and definitions from a searchable list or click an icon in the list to go to its specific location on the globe. 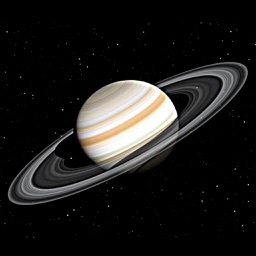 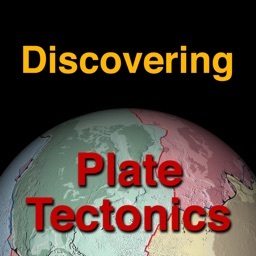 The app provides a visual experience that encourages discovery by exploration of Earth’s surface. 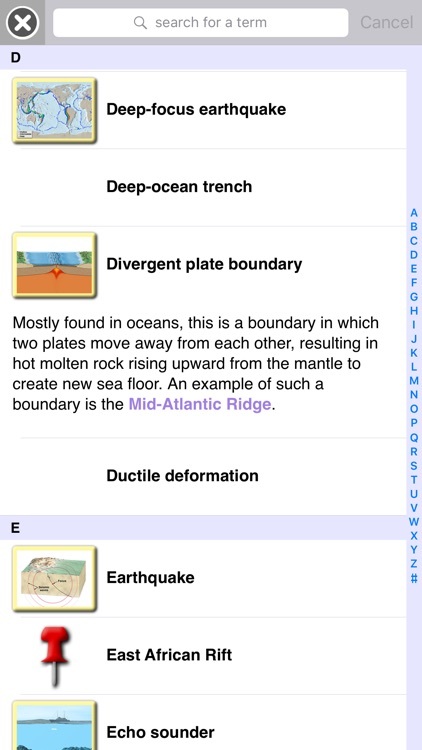 See how changes in plate boundaries cause earthquakes, volcanoes, and mountain building. 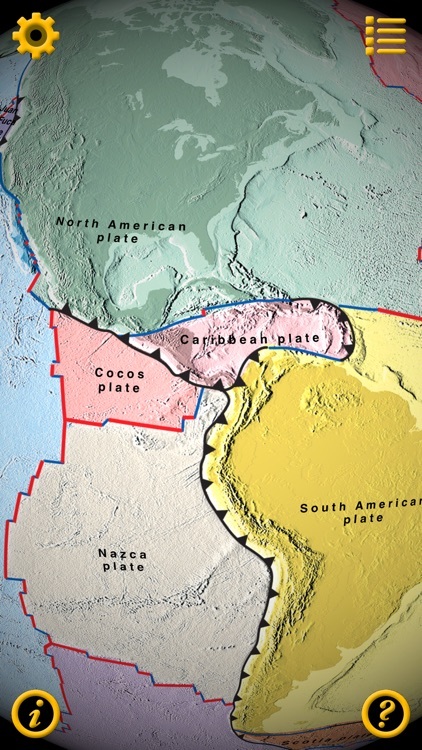 Select an alternate surface map that shows the sizes and shapes of the major tectonic plates or a map that illustrates the age of the ocean floor. 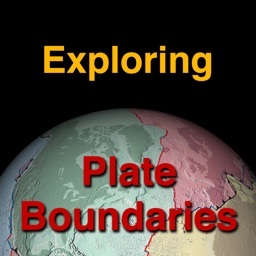 Control the visibility of overlays for plate boundaries, map labels, term icons, and a coordinate grid. 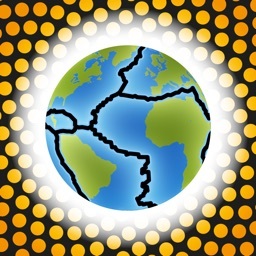 Another overlay shows major earthquakes since 1900 which graphically illustrates activity at plate boundaries. 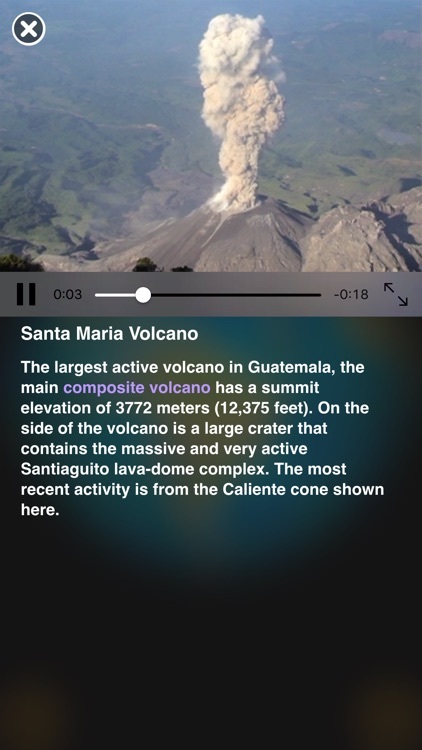 Or, just turn off all overlays and explore Earth’s surface. 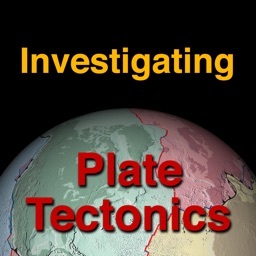 Supports inquiry-based learning about plate tectonics by providing an exploration of Earth that illustrates the relationship between surface features and plate tectonics. 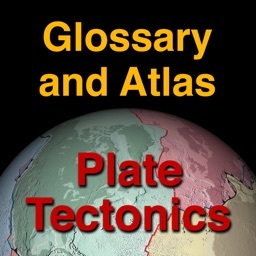 The definitions aid students when writing about or discussing the interaction of Earth’s tectonic plates, earthquakes, and volcanoes. 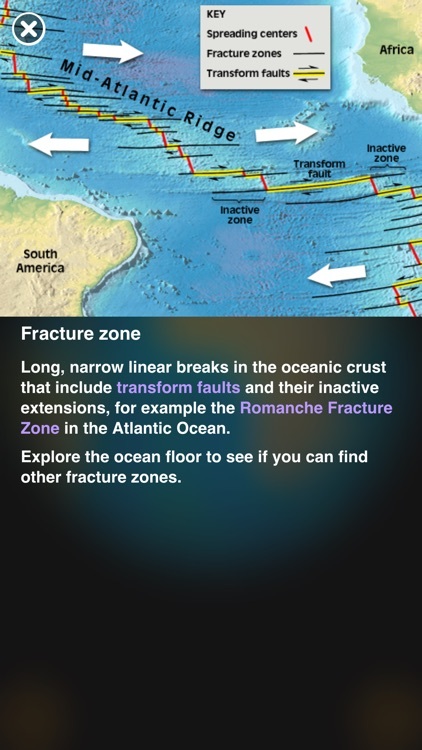 The app encourages higher-order thinking skills by displaying data (historical earthquakes, age of the oceans, volcano locations) that requires analysis, supports the formulation of theories, and tests those theories.